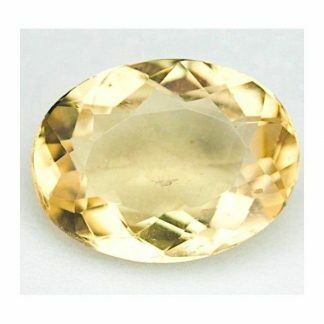 This is an uncommon natural loose gemstone available for sale on our online gems store where we put on sale genuine stones from our collection. 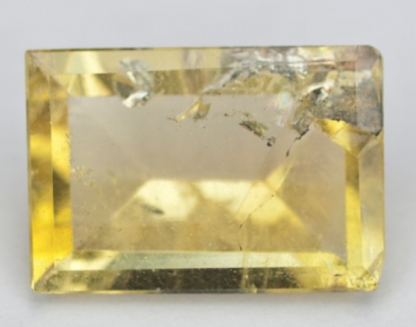 This stone is an untreated yellow Beryl, which is a very interesting opportunity to purchase to study internal inclusions of this particular kind of stone from the aquamarine mineral family. 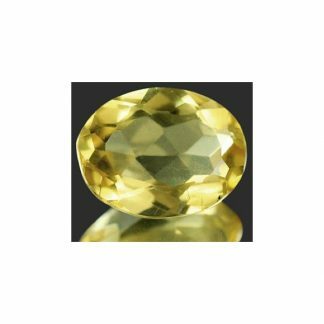 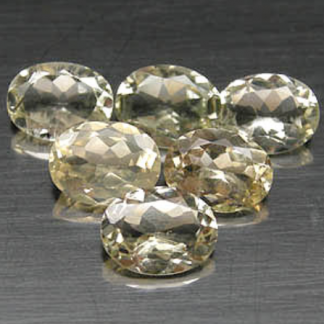 This beryl gemstone shaped into an octagonal faceted cut comes with a pale yellow color with medium light tone and medium light saturation. This yellow beryl is also interesting for study purpose or for rocks collectors because it present some interesting inclusions, visible at naked eye but perfect to be studied at microscope. 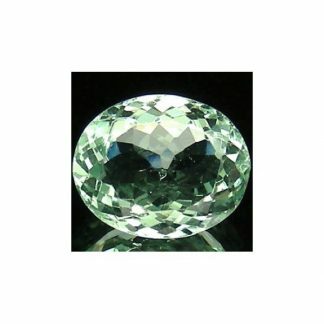 This beryl weight over five carats and comes from Brazil, probably not the perfect stone to create a ring, but amazing opportunity to own an interesting Brazilian gemstone for sure. 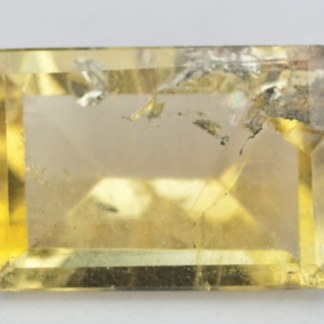 Dimensions: 14.6 X 1.0 X 5.2 mm.